Rascal Flatts: a three-piece group from country-pop heaven. Jay DeMarcus, Gary LeVox, and Joe Don Rooney have been harmonizing their way onto radios and into amphitheaters since 1999. Here are five songs you have got to check out from their sixteen-year-long career. Throwback to June of 2002. 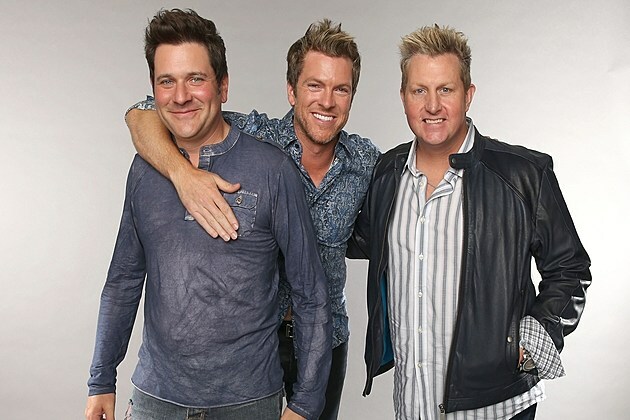 Rascal Flatts receive their first ever #1 Billboard Hot Country hit with “These Days,” a bitter first-person account of a run-in with an ex-girlfriend at an airport. The lyrics take you through the conversation between two former lovers, switching between what the protagonist is saying and what he’s thinking. Listening to LeVox list his daily routine is heartbreaking: “Punch the clock, head for home, check the phone just in case / Go to bed, dream of you. That’s what I’m doing these days.” It’s one of the most restrained and thoughtful performances the Flatts have ever put on. Not that it needs extra flare. Great, honest songwriting makes “These Days” a classic. “I Like the Sound of That” may not be a single yet, but it’s popular among Flatts fans for a good reason. The Rewind standout was written by Jesse Frasure, Shay Mooney, and… Meghan Trainor? Yes, Meghan “All About That Bass” Trainor (with Frasure and Mooney by her side) actually co-wrote two of the better songs on Rascal Flatts’s latest album—this and “DJ Tonight”. Her influence shows in the catchy choruses. “I Like the Sound of That” is practically begging for you to blast it in your car with the windows rolled down. 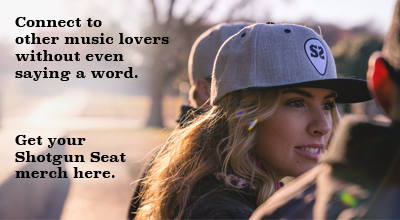 It blends a pop-radio-friendly melody and a sunny country instrumental. The song’s charm is so natural that you just can’t help but to sing along. These guys know how to sing ballads. “Every Day” wasn’t the Flatts’s most popular single, but there’s something so pure on this track that it shines. This song creates tension slowly, and then lets that tension erupt and relieve itself all at once. The song’s narrator tells us how his partner loves him despite how broken he is inside. LeVox admits on the chorus, “Every day you save my life.” The words are among the simplest DeMarcus, LeVox, and Rooney have ever sung. But that emotional build-up in the bridge, both lyrically and musically… it’s stunning. “Every Day” a sweet mix of strings, electric guitars, and vulnerable lyrics. It hits the heartstrings right where it hurts. It’s not often that Rascal Flatts go straight-redneck, but they do it well on “Me and My Gang.” This is more than a country lifestyle track. It takes pride in the “hippies, gypsies, freaks, and geeks / High-class women in Daisy Duke denim” that come from all across the United States to listen to country music. Electric guitars and fiddles play the same melody on the chorus. LeVox even speaks his way through the verses. At first glance, this is the most “country” single Rascal Flatts have ever put out. Then, you see it’s a strange combination of country, southern rock, and may even rap. “Me and My Gang,” which was released in 2006, feels ahead of its time when listening to bro-country tracks today. It’s one of the Flatt’s most fun singles ever. Let’s say out of the five songs on this list, you could only choose one. Well, I’m not giving you a choice—this is the song that made Rascal Flatts who they are today. That opening piano medley is so well known that it would be a wonder if you haven’t heard this song yet. Written in 1994 by Bobby Boyd, Jeff Hanna, and Marcus Hummon, “Bless the Broken Road” is nothing short of country ballad perfection. The three members croon their ultimate declaration of love, “God bless the broken road that led me straight to you.” Why is this love song the Flatts’s most popular? While many of their slower singles are full of melodrama (“Come Wake Me Up,” “I Won’t Let Go,” “Here Comes Goodbye,” etc. ), not many of their ballads have this much soul. The instrumental has a hint of gospel, and LeVox sings with such confidence in the God that has blessed him. It’s not just about love—it’s about gratitude and faith in the struggle. That is what makes this song a Rascal Flatts essential.